The Amway Center in Orlando, Florida is known as the home of the NBA’s Orlando Magic, ECHL Solar Bears, AFL’s Orlando Predators, and the venue of choice for WWE wrestling, All-Star games, and other sporting events, major concert tours, and more. The arena features 20,000 seats and is one of the top two digital signage arenas in the country. With over 1,000 screens and 1.3 million people per year attending events, the fan experience is vital to its success. 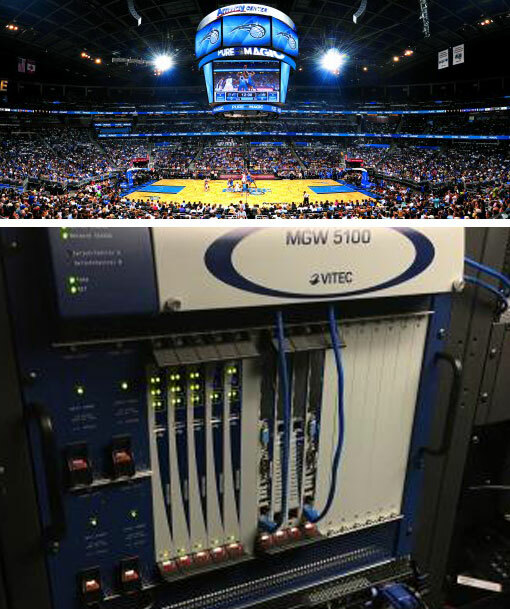 The Orlando Magic NBA Team came to CTG in search of an updated and modernized digital signage solution. Manufacturer partners included VITEC and Four Winds.